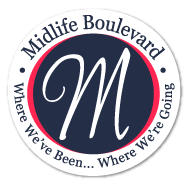 If you and your group are looking for a well thought out, informative, and engaging program, then Caryn Payzant, The Mid Life Guru, is your perfect choice. I have been a requested presenter and public speaker for over 20 years. I have spoken to audiences of various sizes ranging from small (30), medium (150+) and large (3,000+) groups. My presentations are specially crafted to include credible, cited information while incorporating personal experiences, humor, and audience participation. I am happy to share references and testimonials of my past speaking engagements upon request.